Lips so cared for, true colour is maximised! Maximised, radiant colour. Innovative formula with 3 super Moisturisers. Lips feel up to 70% more hydrated and up to 60% smoother! SPF 20, Vitamins A, C and E for protected lips. Available in 18 shades. My Thoughts: I was so lucky to receive my first VoxBox from Influenster and it had the awesome new Rimmel London Moisture Renew Lipstick inside for me to review. My first thoughts were that the packaging of the lipstick was very pretty and something that could hold up to the stress of being pounded around in my purse. Then after I opened my lovely new shade called ‘As You Like It Victoria’ I thought that the product was already living up to it’s description of being bold in color! It’s a darker shade than what I would typically wear but it’s also a color that is very in style for spring. The lipstick itself has a nice smell, a creamy feel, and it really is moisturizing. The color goes on just like it looks so it isn’t necessary to layer the lipstick in order to achieve the vivid color. After applying I noticed that the lipstick does feather but that can easily be solved by first using lip liner. The color is rich and shiny and it really stays on for a long time. My new favorite lipstick didn’t budge until after eating but even then it left a nice lip stain so I still had a pretty berry color left. I think the Rimmel London Moisture Renew Lipstick is great!!! No need for a balm underneath to moisturize or gloss on top for shine. The color is beautiful and perfect for spring! I might even rock this out on the lake with my giant sunglasses and bathing suit…now that’ll make a splash! 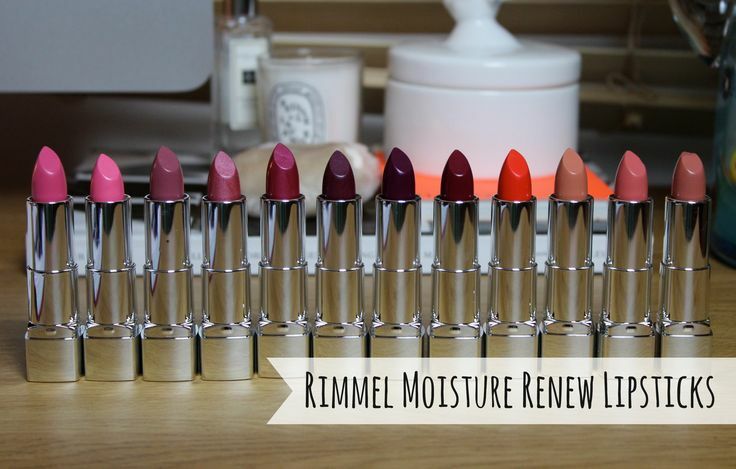 I’ll be purchasing Moisture Renew in some other shades very soon! Full Disclosure: I received this product complimentary for testing purposes from influenster. If you would like to purchase this item please use the links provided. I only recommend products or services I use personally and believe will add value to my readers. The opinions expressed are 100% my own. Thank you as always for reading and your on going support!